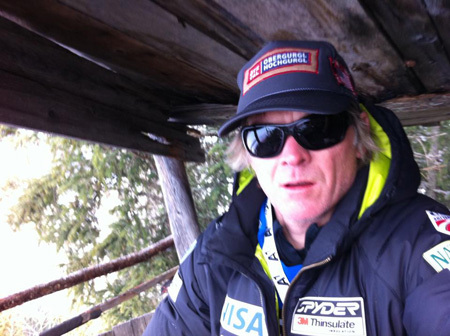 Under the guidance of National Ski Team coach Nils Coberger. The Coberger Academy uses the world-class training facilities at the Coronet Peak Performance Centre. Slopes are prepared to race conditions with the latest snowmaking technology and water injection systems. The CA provides single day training sessions through to season-long programs. Training commences when the mountain opens on the 9th June and runs through till the end of September. Each on-hill training session is a minimum of 3 1/2 hours starting at 7am finishing at 11am. I offer fully customised personal programs that can be developed to suit your specific training goals. From a technical training block through to a season-long program, I will help map out and coordinate your a personal program tailored for your specific needs. The Coberger Academy at Coronet Peak is an amazing opportunity for athletes looking to further their skills in a world class training environment. I have no hesitation sending anyone to train and ski at the CA. For my daughter Nina it was so far the best training she had. The Coberger Academy is very personal, professional and familiar as well. Not only the training facilities were perfect, the support during the races in NZ also great! Nina had great moments this summer, for me as a father and former ski racer it was very important to hear how happy she was every single day on the slope! She is looking forward to come next season again! And I will allow her!